– From Winkin’, Blinkin’ and Nod, a Nursery Rhyme. I’ve been in a lot of bookshops and sung their praises, but this one takes the cake. To be fair to them all, those very worthy other bookshops are often just as good as this one in terms of selection, decor and price, but all of them are lacking one essential ingredient that makes this competition not even close to a fair fight. While every other bookshop I’ve been in has been firmly planted on solid ground, today I set foot inside a floating bookshop on the inside of a London Canal Boat. You just can’t beat that. I heard about this mystical creature some time ago and have been trying to track it down for ages. It moves along Regent’s Canal which cuts through North London from Harrow in the West all the way to the Thames River Basin at Limehouse in the East. On their facebook and twitter pages, Word on the Water post where on the canal they’re going to be and for how long. Once or twice I’ve gone to City Road Basin in Angel to try to find them, but always seem to miss the canal boat. However this time, I just happened upon them by accident. 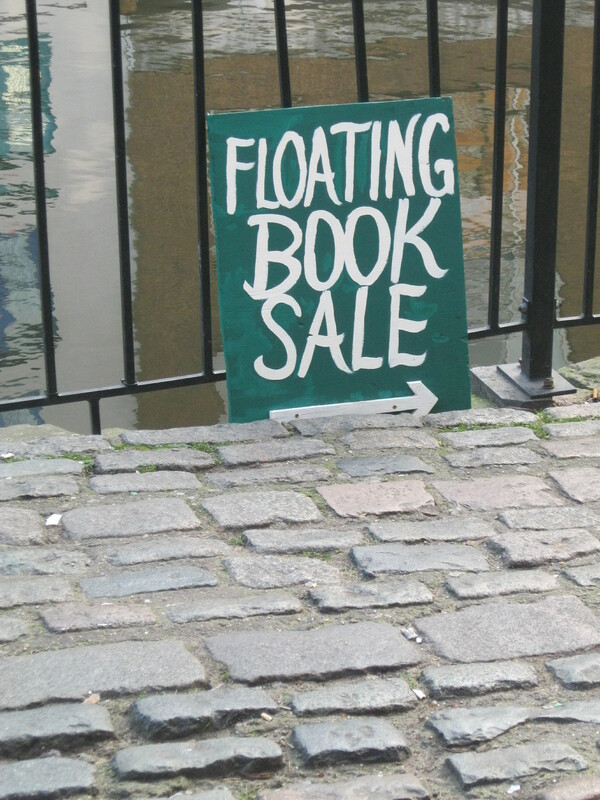 When I saw the “Floating Book Sale” sign I had a feeling I had accidentally stumbled upon this thing I’d been wanting to find for so long. This week, the boat is stationed just west of Camden Market on the canal, and a two minute walk from The Blackgull, another amazing Camden bookshop which works brilliantly as the second half of a double feature. If you’re in that area at all this weekend, you should visit both of them and support two amazing businesses for less than you’d expect. You might find that you hear the boat before you see the grey plume of smoke rising out from its chimney, as music always seems to be playing from the deck. If you catch them at the right time, you might be lucky enough to hear one of their live music shows or the poetry readings for which they’re famous. I’ve never been to one but I hear that music and poetry are shouted out from the deck of the boat to listeners down below and I can only imagine that it must be magical. But on a weekday at lunch hour, classical music from speakers is perfect. After examining the paperbacks on sale for £1 or £3 on the deck of the boat (bargain!) and the small selection at the helm, I crouched down and crawled into the cabin, where the magic happens. The shop’s inside is warmed by the heat of the wood-burning oven in the corner and the couches around it are inviting and cozy. To live in the cabin of this boat would be a dream come true. You might be able to grab a spot on the couch and sit for a bit with a book if the cats aren’t monopolising the space. 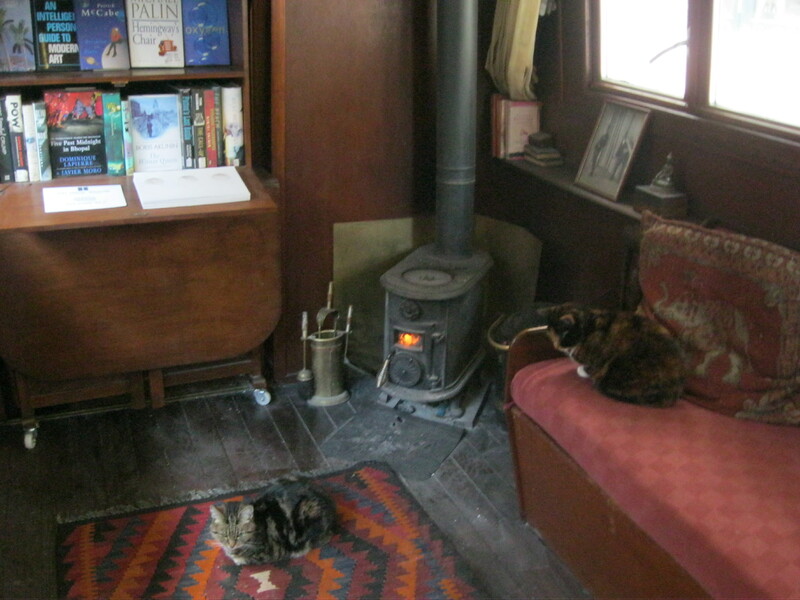 Yes, there are two little cats (although perhaps there are more, but I only saw two) who live onboard and on this chilly January day they were huddled up on the couch close to the fire. They must be used to visitors because they didn’t seem to notice me rummaging around the shelves of books that cover the walls. 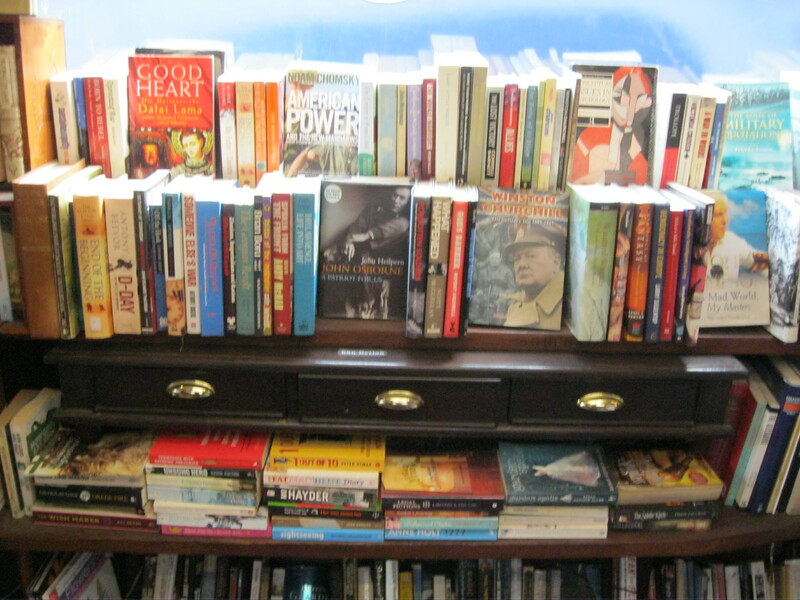 For such a small space, there is a decent selection of secondhand books, all for very reasonable prices. I bought Oryx and Crake by Margaret Atwood for £3. As with most of the bookshops I frequent, you’re in a real-live establishment, not on Amazon, so they don’t have everything, but I think that forces you to really look at what’s there and invites you to try a book you might not have thought of before. If you’re not up for these more bookish of adventures, you’ll just have to settle for the charming ambiance and the original idea, which are reason enough to pay the barge a visit, if you can find it. While I’m on the subject of adventures, despite the frustration of a few failed attempts, I’m very glad to have found this bookshop today by accident. It goes to show that you can search and search as long as you like for exactly what you want, trying to plan every detail of each day of your life, but in the end, life surprises you. The plans you made might fall through and one day you might just be glad they did, because the things you never even imagined would happen will come to be the most important moments of your life. I harp on a lot on this blog about how bookshops are worth saving because they privilege the act of searching over instantaneous finding. But I think this bookshop doesn’t need to preach that lesson at you because it’s the living proof of it. You might not find exactly what you’re looking for in such a tiny little bookshop, but the experience is worth so much more than what you come out with. 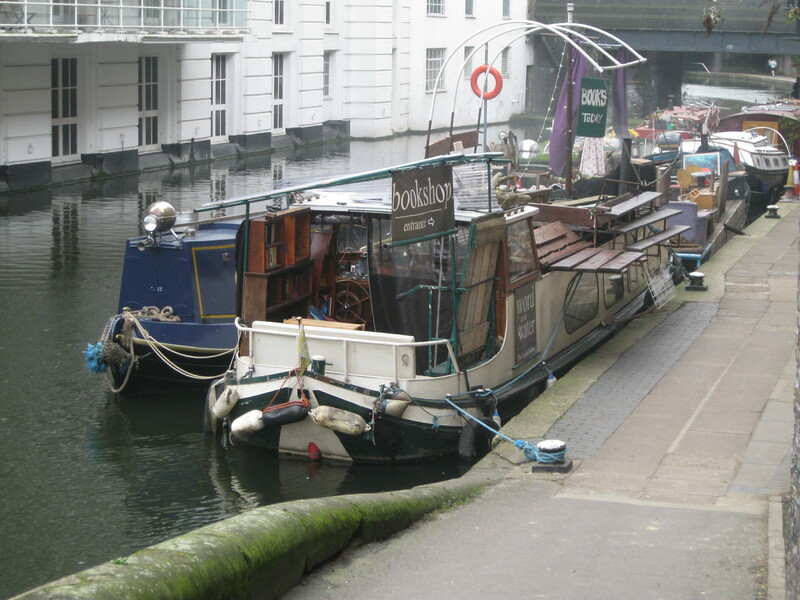 To walk along the canal like you do every day and then to come across a boat you’ve never seen which has been styled a “book barge” moored at the side sounds like the beginning of a pirate novel and reminds me of The Voyage of the Dawn Treader, in a way. And I think we all need a little adventure in our lives. For example. I recently had to track down a copy of Home to India by Santha Rama Rau for a class I was taking. There were no copies at Waterstone’s, Foyles, any of my usual local independents, my uni’s library or the University of London and the British Library’s copy was off-site. I tried all of these places and finally found a copy at SOAS. After weeks, I finally got my hands on a tiny, weathered red copy of the 1936 edition published by the Left Reading Club, an organisation which operated in the 30s and 40s, disseminating quality literature about leftist ideology among the British intelligentsia and which I had never even heard of before. Everyone else in my class had ordered the reprinted version from Amazon instead of bothering to look for it. So, sadly, none of them really got the sense that a text like this, by an Indian woman writing in the 30s about nationalist politics, was not exactly floating around freely. The experience of tracking down that novel added something to my experience of reading it; its evident rarity really made its revolutionary aspect and its profound modernness (which of course becomes so relativised over time that it’s well-nigh invisible to recognise if you’re not looking for it) all the more real. The point of that story, which somehow became a very long anecdote, is that oftentimes the adventures we have while looking for books add something special to our experience of them that wouldn’t be there otherwise. And it’s the sense of discovery, adventure and the fanciful that Word on the Water is bringing back to the book-hunting experience. This entry was posted in London and tagged Amazon, antique books, bargain books, book-hunting, books, bookshop, bookshops, bookstore, bookstores, cheap books, I Hate Amazon, I hate Kindle, independent bookshop, independent bookshops, independent bookstores, kindle, literature, London, London bookshops, North London, reading, Regent's Canal, Second hand, second hand books, second hand bookshop, used books, Word on the Water. Bookmark the permalink. Amazing! I should go and have a look, love Camden! I love the way your blogs are just as leisurely as this book barge must be on the canals: very evocative, as always! A great post! A great concept! 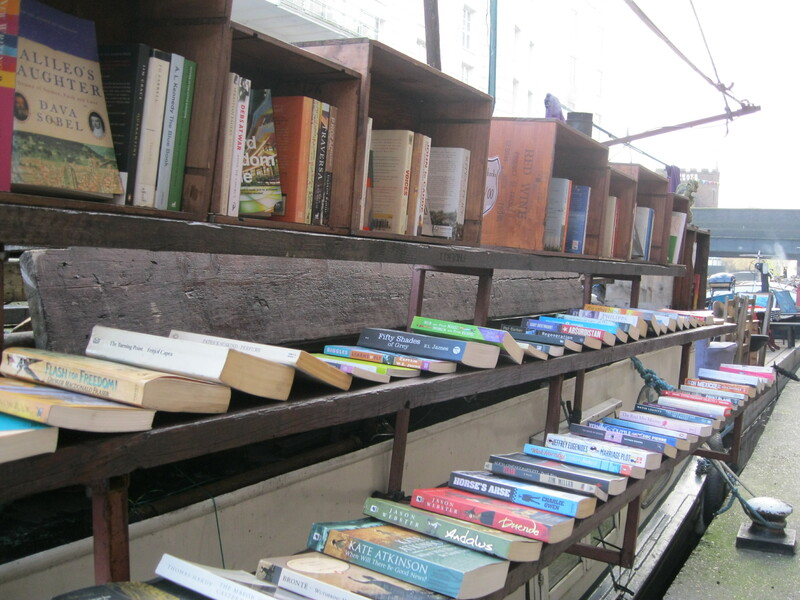 This is an amazing blog about a fantastic sounding bookshop in a canal boat! How incredible would that be to visit! This bookshop sounds quite magical and soooo the opposite of plastic, commercial Amazon world. I agree with the little boy: I want to sail away in the barge. This image will soothe me to sleep tonight. 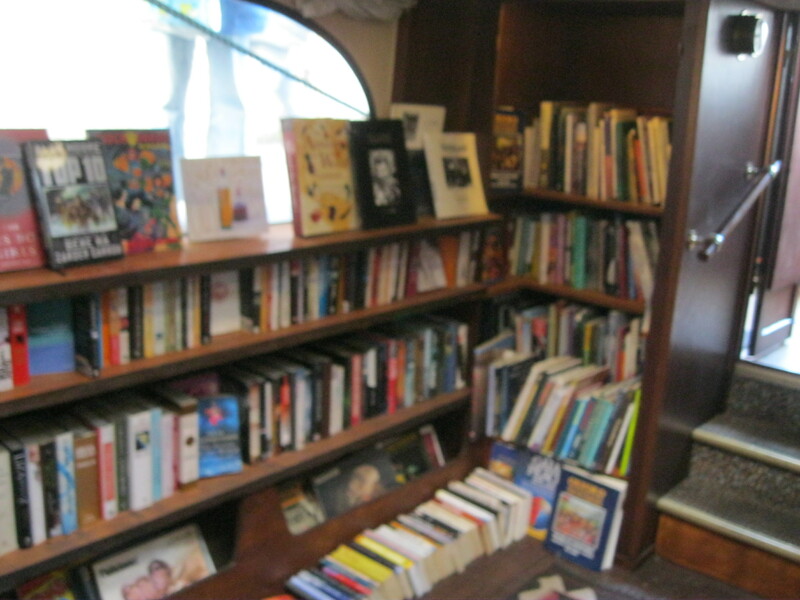 Such a cool bookstore – I’ve heard of one in an old train car before, but not a boat! This is so amazing! I just have to see this on my own someday! I am now longing for the chance to get back to London, if only to luck upon this amazing book shop. And I agree with you about the serendipity that seems to affect one’s life when books are involved. Amazing post! You’ve inspired me to hunt down this bookstore now! Maybe I’ll be lucky enough to find it soon. Thanks for the like as well. I loved this post! It makes me smile to know there’s a bookshop on a barge – I will definitely be going for a browse. Bookshops and record stores… I could spend days in there! I am so glad you started following my blog, because if not for that, I would have never discovered yours. The magical images that you evoke of these unique bookstores have mesmerized me! I am hoping to repost Word on the Water tomorrow. This is the most magical description of a bookstore that I’ve ever come across. 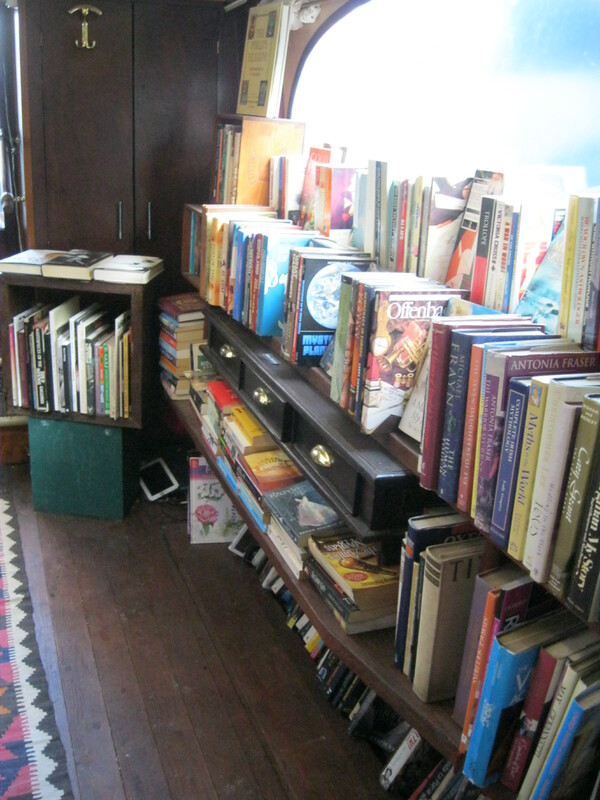 Not to mention its the coolest bookstore I’ve ever heard about, period. How lovely to find your blog. We’re making a family trip to Europe later in the year, and I think my sister and I may spend our spare time between now and then reading your recommendations and plotting bookshop itineraries. It would be a dream come true to live in the cabin of that boat. Idyllic. Now I know where to come when ever I visit any place. I’ll check in here to find out if they have a good bookshop. Thanks for reading my blog. Wow!! This is really amazing, thanks for sharing this post with us 🙂 I wish I had that boat. I loved this write up because it shows an understanding of exactly what we are trying to convey with the presentation of our books. Not just a business or a lifestyle but a fantasy which was made real by the members of our collective despite all the financial, beurocratic, and practical obstacles. It is its own reward but it gives us a warm glow to be appreciated and understood. So glad you found the post and liked it. 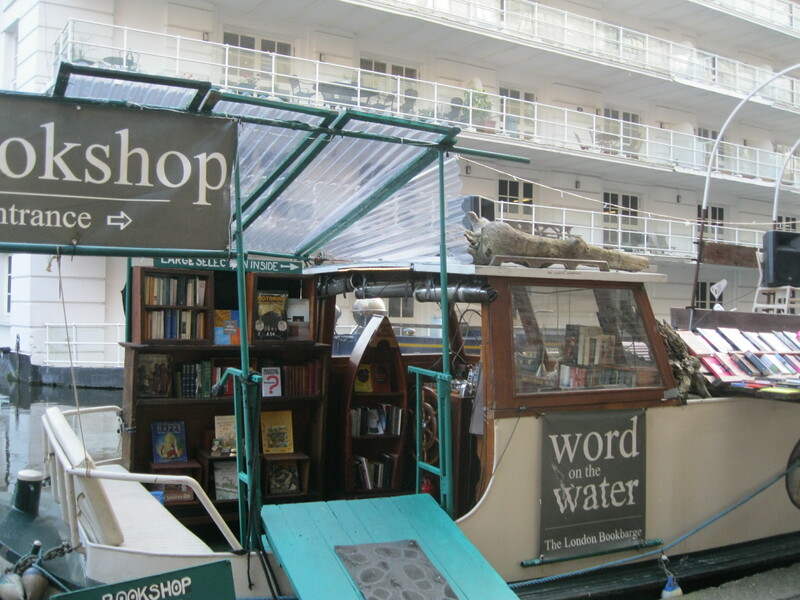 I think the book barge is incredible and it’s so encouraging to hear that there are still small businesses in it for the love of what they do, not matter what! Wow! My unattainable dream has long been to run a library on a sailboat. To know that there is a bookstore in a barge just made my day. Lovely bookshop. Will make an effort to visit next time I’m in London. What a wonderful idea! Seems like such a magical place to visit. Magical is exactly the word for it! This place looks amazing! This bookshop is next on my list of places to visit!